This is a big, sweeping, captivating drama starring (the always engaging) Ingrid Bergman as Gladys Aylward, an undervalued English housemaid turned dedicated missionary. The young, single, and determined Gladys puts her (Christian) faith into action, helping get rid of footbinding, lower illiteracy, and lessen cruelty in 1920s northern China. Along the way, she adopts many children, who have been abandoned or orphaned. She falls in love, though hers is not a typical Hollywood romance (which I REALLY liked). This is a must-see for all fans of classic films! This is a simple, sharp, and timely film that REALLY packs a punch! I just saw it tonight, and was (pleasantly) surprised; I don’t want to have an empty backpack. The always handsome/watcheable George Clooney fits his role to a tee, as do the two main ladies-gorgeous Vera Farmiga and newcomer Anna Kendrick. Check it out on HBO. In the past 2 wks, I’ve heard some great (classic) country songs. Did you know that Freddy Fender is Mexican- American and sings in Spanish and English? I was esp. impressed by Waylon Jennings’ voice! I’m crazy about Crazy Heart! This is a must-see film from 2009, esp. for fans of classic country music and Jeff Bridges, who completely disappears into his role of alcoholic/world weary/singer-songwriter Bad Blake. Gone is the easygoing California-bred star; here Bridges is overweight, terribly dressed, and quite cranky (for most of the film). The 57 y.o. Bad (his preferred nickname) has been reduced to performing in bowling alleys and hole-in-the-wall bars throughout the Southwest. He hasn’t written a song in 3 yrs. He’s under the power of his fave brand of whiskey for most of the day (and night). But most sadly, he has become a disappointment to himself. But he still has many fans out there, including a young arts reporter from Santa Fe, Jean Craddock (Maggie Gyllenhaal). Bad agrees to an interview w/ Jean; they have an easy rapport from which a romance quickly develops. Bad needs to earn some real money, so he turns to country star Tommy Sweet (Colin Farrell). Tommy, a very thankful protege, would love to get some songs out of his mentor, but Bad is not sure he has it in him anymore. Bridges is very watcheable (a character actor w/ a star’s looks, charisma, and confidence), bringing non-showy authenticity to the role. He can sing very well, too. 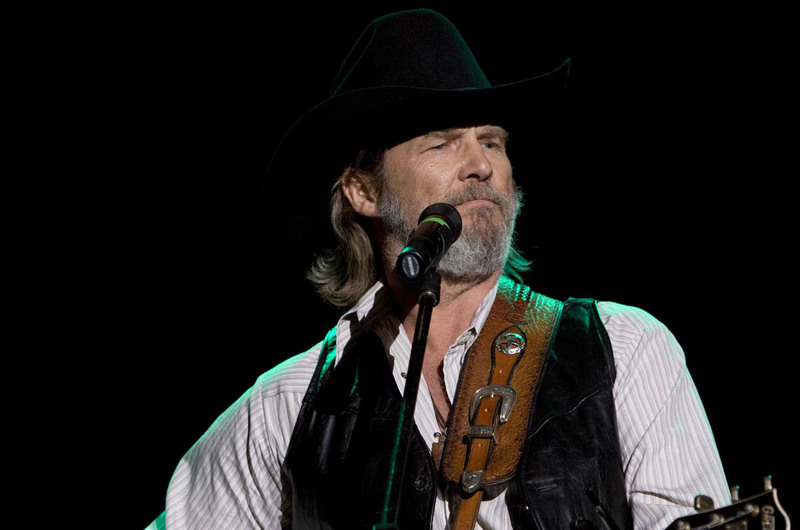 My fave songs from Crazy Heart are Hold on You and I Don’t Know (2 versions sung by Bridges and Ryan Bingham, the young singer-songwriter who makes a cameo). Bad is the main character of a novel by Thomas Cobb. His personality is a mix of Merle Haggard, Waylon Jennings, and Kris Kristofferson. But you must give him some sign, Mr. Trask, some sign that you love him… or he’ll never be a man. All his life he’ll feel guilty and alone unless you release him. Director Elia Kazan wanted Marlon Brando for the lead role that went to breakout star James Dean. In this film, based on John Steinbeck’s novel, Dean plays bitter/tortured teen Caleb (Cal) Trask, who is constantly overshadowed by his sunny/easygoing brother Aron (Richard Davalos). The boys’ farmer father Adam (Raymond Massey) is deeply religious, reading the Bible aloud each night. He’s an emotionally closed-off man who admits that he’s “never understood” Cal’s moods/behaviors/desires. Aron’s girlfriend Abra (Julie Harris) is a pleasant/kind girl who finds Cal frightening at first, then slowly gets to know (and even sympathize) with him. The setting, early 20th century Salinas valley of California, is “ironic” in this film because of the conflicted people (critic Kenneth Turan noted). Cal believes Adam only loves Aron. He (instinctively) finds out about his long absent mother, Kate (Jo Van Fleet). Adam is described as “kind” and “conscientious” by his friends/neigbbors; Kate is a former “drifter” who is running a “sinful” house (where men drink, gamble, etc.). 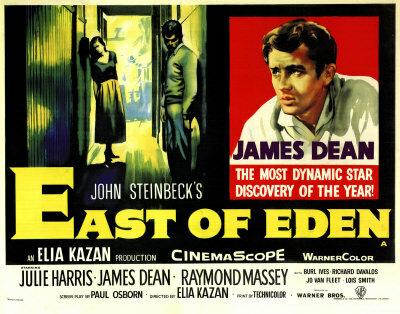 East of Eden contains (obvious) biblical themes; Cal and Aron are compared to Cain and Abel at one point. This film contains universal themes and intruiging characters who don’t always act how you expect; for example, Aron is strongly against fighting (WWI). Viewers of his time must’ve been surprised by Dean’s performance, but he’s not unlike today’s teenagers who are trying to prove their worth and and fit in. 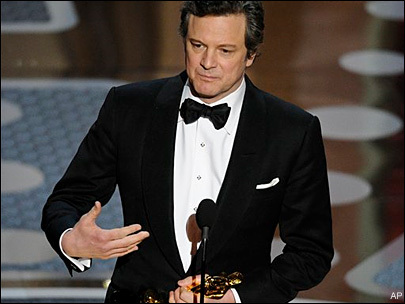 Darcy (Colin Firth) wins Oscar!!! Here is a still from the famed ’95 BBC/A&E version of P&P. Colin was then just 35 y.o. Yay, we Austen fans knew him (err… recognized his talent) then! On Sunday, Colin (now 50) won the Best Actor Oscar for his role in The King’s Speech. I LOVED how flustered he was! Livia (his gorgeous Italian-born wife) and Colin looked VERY elegant on the red carpet prior to the show. 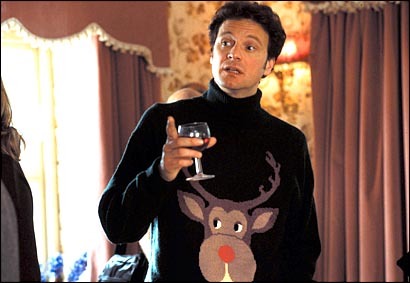 Here is Colin looking adorable (yet a bit goofy) as posh, yet kind-hearted, barrister Mark Darcy in Bridget Jones Diary. 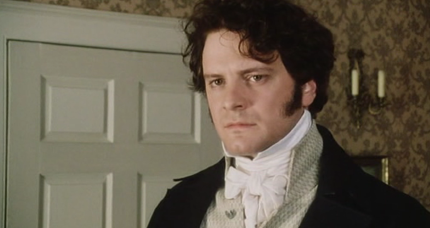 Yes, this character was inspired by Austen’s Darcy. Helen Fielding, the author, wanted Colin for the role all along!